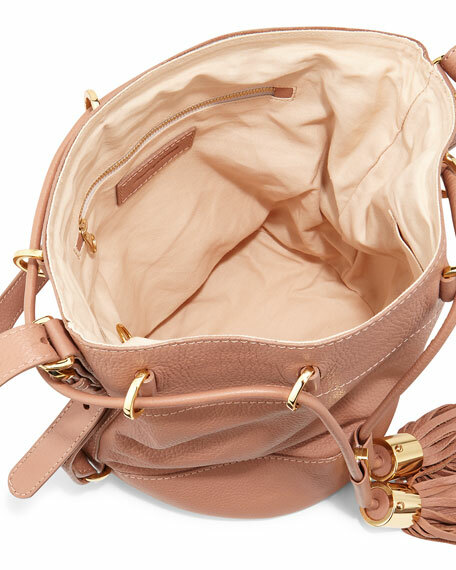 See by Chloe vachetta leather bucket bag. 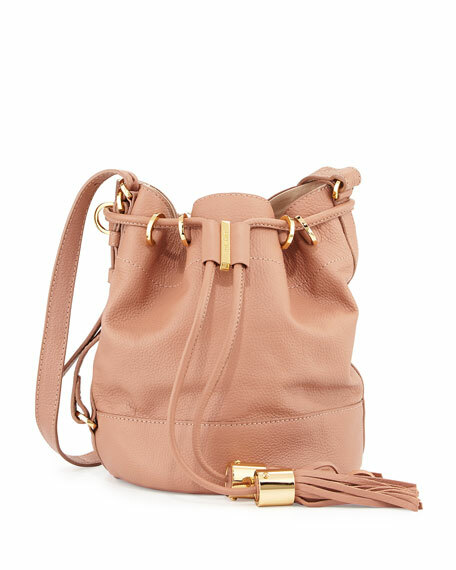 Large contrast tassel drawstring pulls through rings cinching top. 9.5"H x 8"W x 8"D; bag weight: 1lb 7oz. For in-store inquiries, use sku #209307.